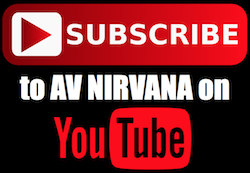 You've reached AV Nirvana, the Internet’s ultimate Audio and Video enthusiast destination! If you’re seeing this message, then you aren’t a registered member. You’re welcome to visit as a guest, but we encourage you to register and become an active member (registration is 100% free)! This is, hands down, the friendliest AV forum on the net. 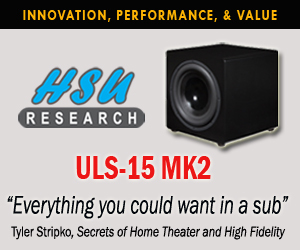 And it’s one of the best places to read current industry news, trusted professional AV equipment reviews, as well as music and movie reviews, while discussing everything and anything to do with home theater systems and two-channel home audio. 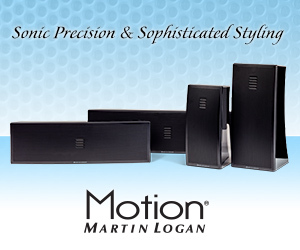 We’re experiencing extraordinarily exciting times in the world of Home Theater. 4K Ultra High Definition (UHD) televisions with High Dynamic Range (HDR) and Wide Color Gamut (WCG) have radically changed how we view TV and movie content. And display technologies such as LED LCD and OLED are proving to be powerful performers that are leaps and bounds better than high definition TVs of old; projector technologies have also experienced rapid growth, which is exciting for videophiles looking to bring a commercial cinema experience into their home. That experience is sure to be enhanced as HDR10, Dolby Vision, HLG, and HDR10 Plus are further integrated with HDMI 2.0 and HDMI 2.1 standards. Streaming video services, Blu-ray and 4K UHD Blu-ray are also offering movie audio experiences featuring 3D immersive audio. 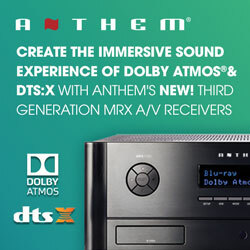 Dolby Atmos, DTS:X, and Auro-3D are the three current object oriented codecs that have forever changed the way we listen to surround sound, drawing us ever closer to real-life experiences. 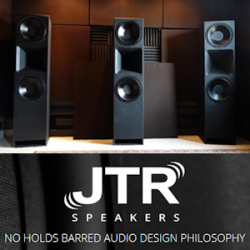 These are all available on modern AV Receivers and Pre-amplifiers that typically carry powerful room correction software such as Dirac Live, Audyssey, YPAO, MCACC, Anthem Room Correction (ARC) and a host of others to fine-tune the listening experience. 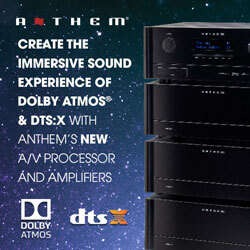 Audiophiles chasing incredible sound with two-channel stereo systems have also benefited from recent leaps in technology. 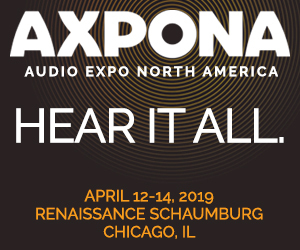 Hi-Res audio now offers resolutions that trump compact discs and SACDs, and the promise of MQA means that rich and textured music can be streamed through services such as TIDAL. 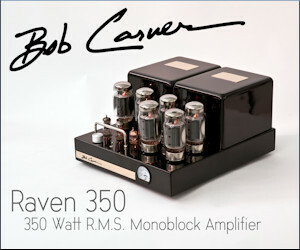 In addition, manufacturers are tapping modern technologies to make the best amplifiers, headphones, tower, bookshelf, and subwoofer speakers we’ve ever heard. AV NIRVANA is proud to be the new official host of the Room EQ Wizard help and support forum. It’s also the exclusive source where AV enthusiasts will be able to download future beta releases of REW software. REW is one of the most powerful tools available for measuring room and loudspeaker responses, and it’s free! The software’s author, John Mulcahy, is present and active on the forum. With so much to discuss and share, we hope you’ll stick around and become an active member in our community. See you on the forum! Help me pick a few CDs for my juke box! Movie Roll Call: What have you seen lately?